Don’t skimp on quality for anything that separates you from the ground. That unwritten rule includes things like shoes, car tires—and of course, mattresses. On average, people spend 121 days of the year in their bed, sleeping their way to what’s now a $20 billion industry in North America. That market is largely supported by big box stores that showcase endless offerings of mattresses, pillows and sheets. 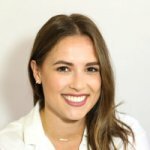 Endy is a Canadian-born company that’s changing the way people shop for and think about what they lay on every night. 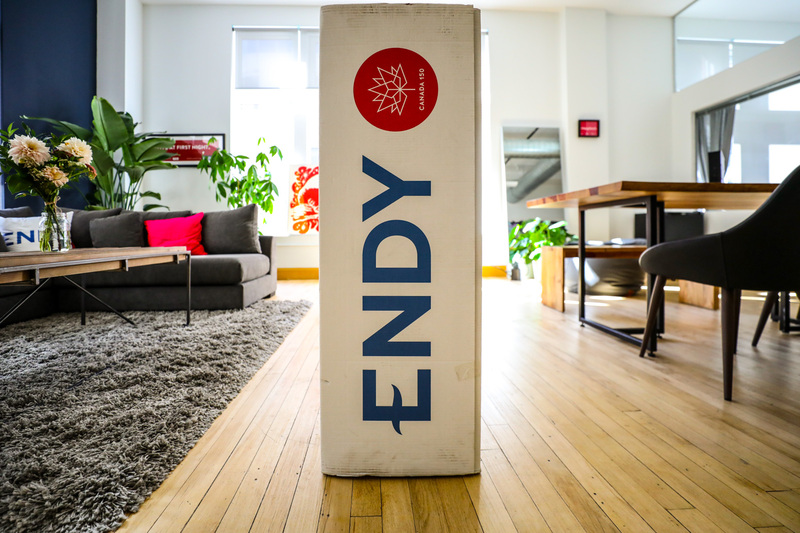 Headquartered in Toronto, Endy offers only one mattress; it’s sold online, rolled up into a box and shipped direct to door—and it’s exclusive to Canadians. 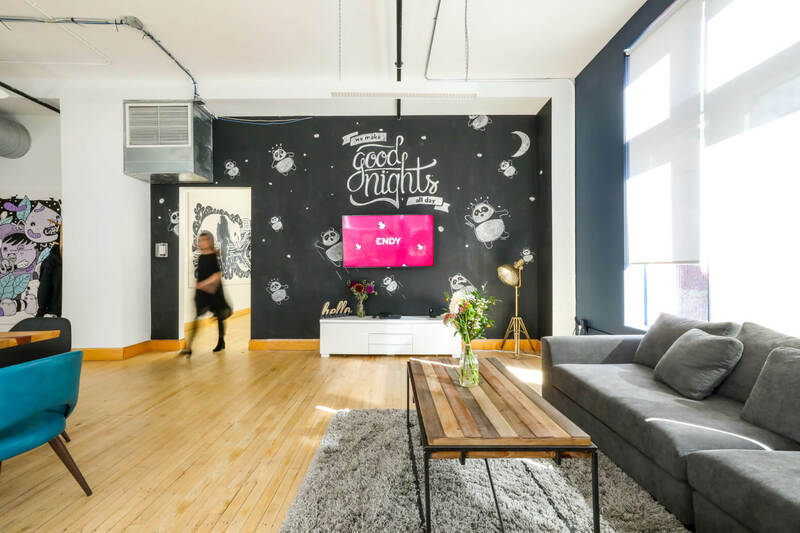 Endy’s Yonge Street office includes a showroom where potential buyers can come by for a test-snooze. Specializing in just one product has made Endy one of the premier direct-to-consumer brands in the country. The sleep company is on track to pass $20 million in sales in 2017. Endy was co-founded by Mike Gettis and Rajen Ruparell in 2015, combining their different entrepreneurial backgrounds and insights to launch the bed-in-a-box company. At the time, Ruparell was heading Groupon International’s Global Partnerships, a role he moved into a few years after the deals site acquired his competitor company Citydeal. Meanwhile, Gettis was an engineer-turned-entrepreneur running Overbrands, a testing ground for e-commerce products. 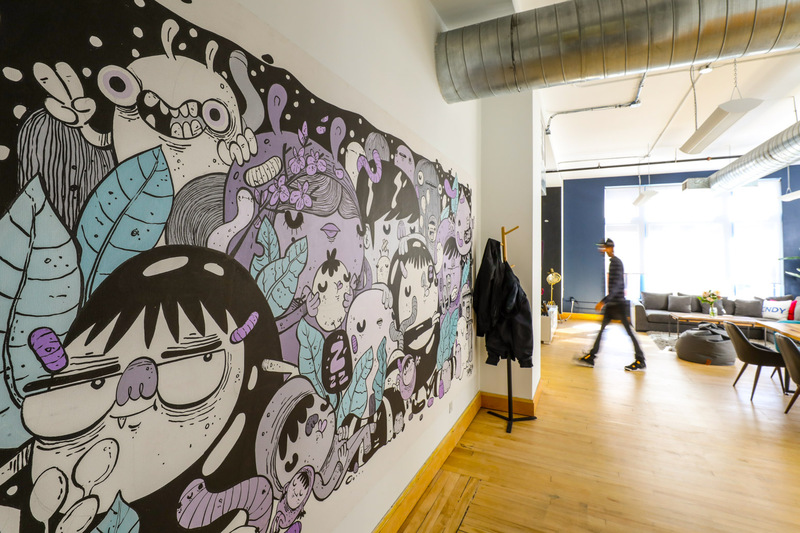 He saw how direct-to-consumers brands in the United States were beginning to be embraced and liked the idea of reinventing a business category in Canada. Gettis brought his idea to Ruparell—a friend he met at the University of Toronto—who understood firsthand the power of online channels. Endy was spun out of Overbrands with Ruparell investing his own money to get the company up and running. After many prototypes, the pair finally landed on a Canadian-made mattress they could sell online at a fair price. 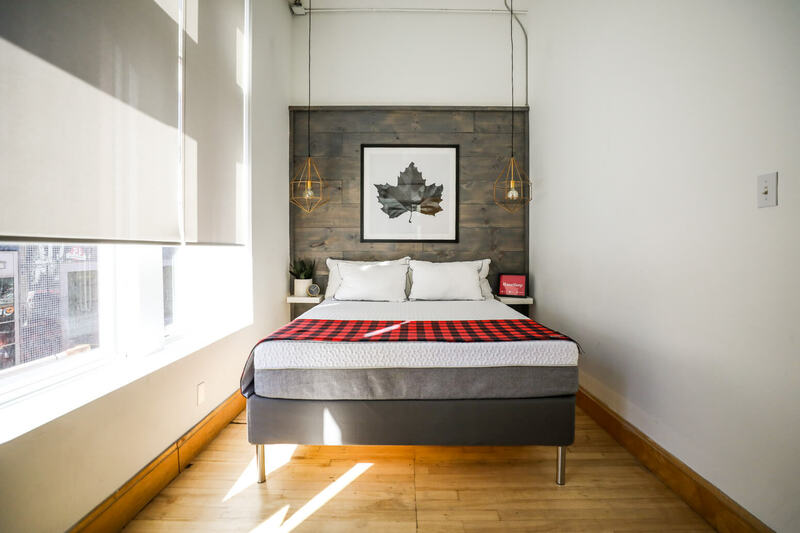 Based in Toronto’s downtown (with a bedroom-sized showroom), Endy is the leading direct-to-consumer mattress brand in Canada. with the highest customer rating and fewest amount of returns. 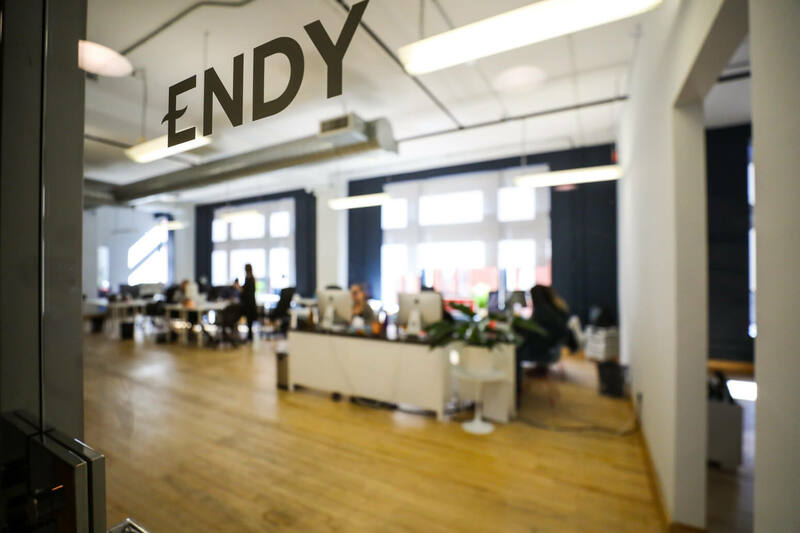 In 2017, Endy’s team doubled to nearly 20 people and the company tripled its revenue. Each mattress is made with Endy’s own proprietary foam that claims to minimize motion transfer and prevent overheating. Unlike Tempurpedic offerings that adjust to body temperature, Endy’s mattress responds to pressure. 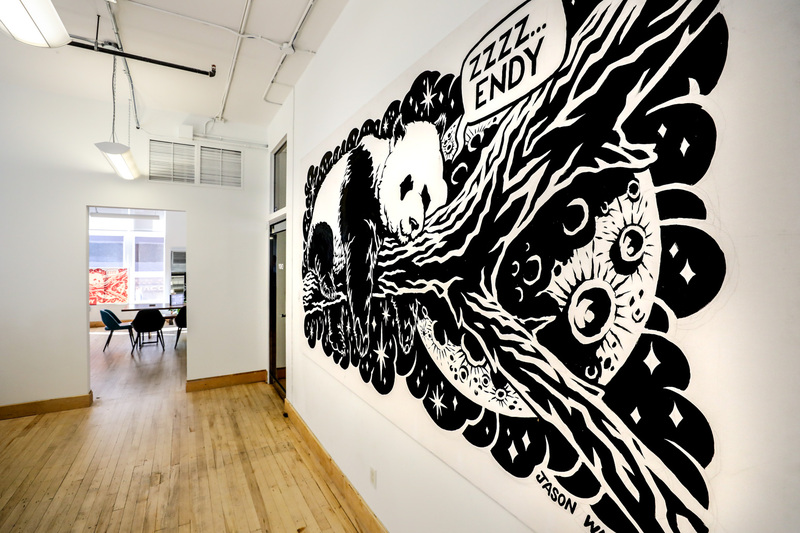 The Endy mattress is completely Canadian-made. From a twin bed to a California King, the mattresses come in six sizes, ranging between $675 to $950. Packed tightly in a box the size of a hockey bag, the mattress ships for free to every Canadian province. But figuring out how to make a high-tech foam mattress in Canada wasn’t easy, explained Gettis. “We weren’t able to set up shop immediately. It was a bit of challenge. Some American brands can find a one-stop shop for production. We had to find five different ones,” he said. Endy has different teams and locations manufacturing the box, the mattress, and the mattress cover, as well as taking care of mattress assembly and shipping. Through their online store, Endy has sold mattresses to people in every territory and province. Gettis pointed out that they’ve found quite the market in Yellowknife where big box mattress retailers aren’t as common. Search direct-to-consumer mattresses online today and names like Leesa, Hyphen and Bedaga will surely pop up. New York City’s Casper is the leader of the bunch and Endy’s biggest competitor in Canada. To stay on top of the Canadian market, Gettis said it comes down to how Endy sees themselves and their brand. “Casper is more of the cool kid, where Endy is friends with everybody. We’re a friendly Canadian-type brand—with a bit of an edge. Our edge has been around being a disruptor against a larger American competitor,” he said. 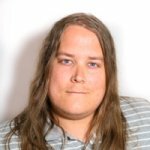 Casper has sold roughly 10,000 mattresses to date in Canada, while Endy hit their 25,000 milestone just this past month. In the early days, Endy tried selling in the United States. Gettis said that they pared back after a year and declared that they were only going to do Canada—and wanted to make sure they did Canada the best they possibly could. It’s not just young hip companies that are rolling out mattresses in a box. Within the past two years, legacy brands like Sealy and Sleep Country have entered the space. That doesn’t worry Gettis who said he welcomes the competition. 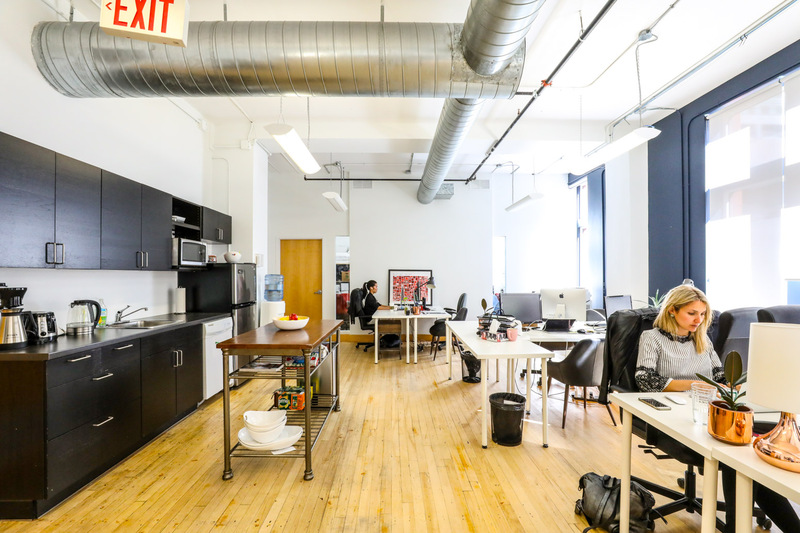 The Endy team enjoys a beautiful space, natural light and comfy vibes. “Millennials identify with the freedom to move and freedom to make their own choice. Competition only forces the industry to make their product offering better, ” said Gettis. He added that seeing more familiar and traditional mattress brands release their own foam offering has only helped to educate the market about the relatively-new product. When people are shopping for a mattress, they’re looking for one that’s better than what they’re sleeping on. That at least is what Gettis keeps in mind when talking about the future of Endy—develop the mattress that people want. That philosophy is reflected in constant changes to the Endy mattress: different foam, different sizes, and different mattress covers. Gettis said it’s easy to drive innovation from inside, but once they hear the same suggestions from customers, they adapt. “We have to keep on our toes and stay ahead of trends,” said Gettis. Endy’s sleep offerings now include an adjustable memory foam pillow (so customers can make it just the right height) and soon-to-be released cotton sheets.